Decorative Life: Four to 10 days depending on cultivar and postharvest treatment. 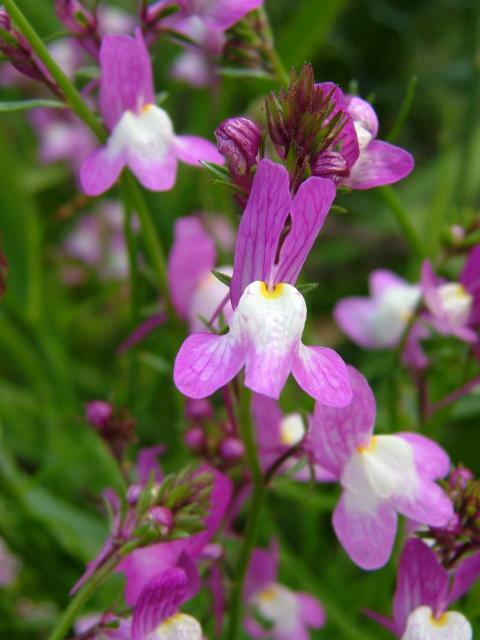 A member of the Scrophulariacece or figwort family Common relatives include calceolaria, veronica, verbascum, penstemon, foxglove, snapdragon, and nemesia. Is an annual flower that looks like a snapdragon with the addition of a basal spur. Storage at 34F (1C) fo one week was detrimental.